HomeETS In ActionCrowning the culinary excellence - Empower Culinary & Hospitality School, Class of 2018 graduates. Crowning the culinary excellence - Empower Culinary & Hospitality School, Class of 2018 graduates. The third intake of Empower Culinary & Hospitality School graduated on the 31st of March, 2018, after having successfully completed their intensive training course. The students prepared a custom-made menu which was presented the Settlor, Mr Merrill J. Fernando, his sons Malik J. Fernando and Dilhan C. Fernando, ECHS Governor Rohan Fernandopulle, Trustees, staff and friends of the MJF Charitable Foundation. 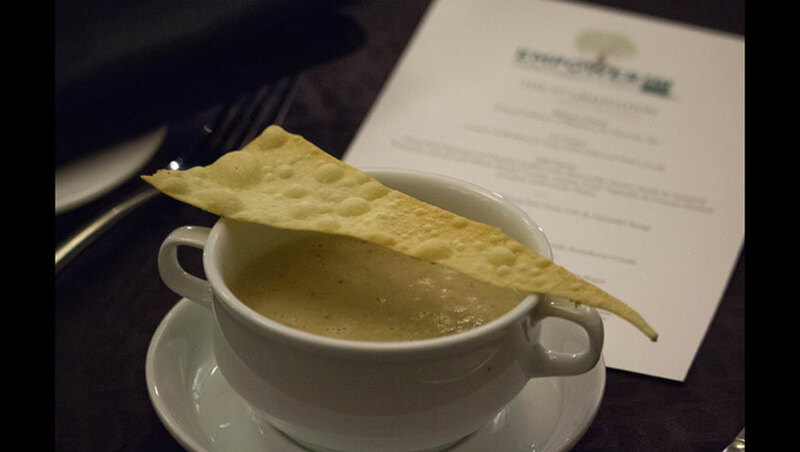 The 3-course menu was a delectable display of their mastery of culinary disciplines, learnt during the programme. Located in Moratuwa, the Empower Culinary & Hospitality School is fully funded by Dilmah and the MJF Group of Companies. 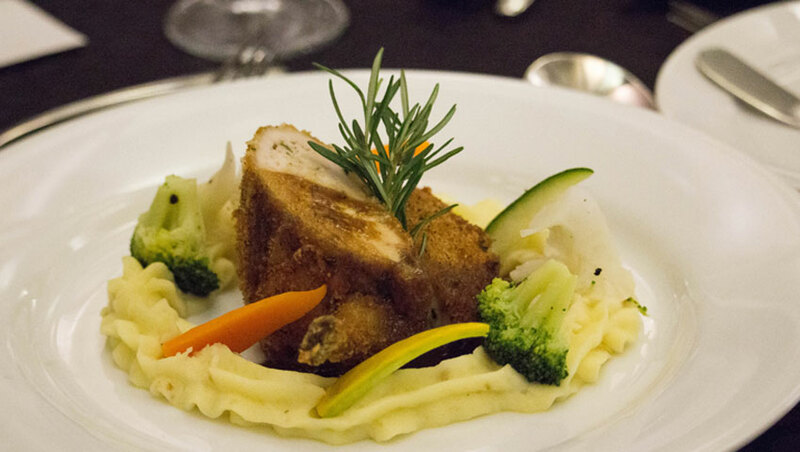 Over the 5 months, students master the recipe of making their dream of becoming a chef, restaurateur and entrepreneur in the world of culinary arts come true. They are trained in the fundamentals of classic cooking, kitchen management, sustainability and food safety and sanitation. Young cooking enthusiasts grow into chefs in training with a mix of theoretical knowledge and practical training that then guarantees them employment in the hospitality industry. At the graduation, Kithma Wijesekara won the award for the best performer and H. A Shehan Perera was honoured the Bernd Uber award - named after ECHS governor - in recognition of his great achievement. While conveying his heartiest wishes and sincere congratulations everyone, Bernd Uber through a message to Shehan mentioned that it’s not where one works but how passionately one makes use of his abilities that matter in time to come. MJFCF Empower Culinary and Hospitality School is recognized by the World Association of Chefs Societies (WACS), a global authority on food standards. Our experienced chef instructors, provide hands-on kitchen training for the student, giving them the right ingredients for a delicious career ahead. During the program, students benefit from multiple field trips and visits by international chefs and culinary experts and exposure to at least one of the school’s governors. Apart from clocking 9 hours in the kitchen per day, the students also acquire leadership and personality development skills that give them the edge in the competitive industry. Prior to the culinary training program, students spend 1 month perfecting their command of English under the tutelage of British Council. This industry-focused social Initiative provides training and opportunities for less privileged youth whose ambition transcends beyond the kitchen walls, to build their careers from scratch. “The world over Sri Lanka has been renowned for producing world-class culinary masters; their creativity and skills in the kitchens and culinary crafts is legendary. We want to ensure that financial need is not the barrier to achieving this dream and consider it a privilege to give these young people an opportunity they might not have otherwise.” Says Merrill J. Fernando the Founder of Dilmah and Settlor of the MJF Charitable Foundation. 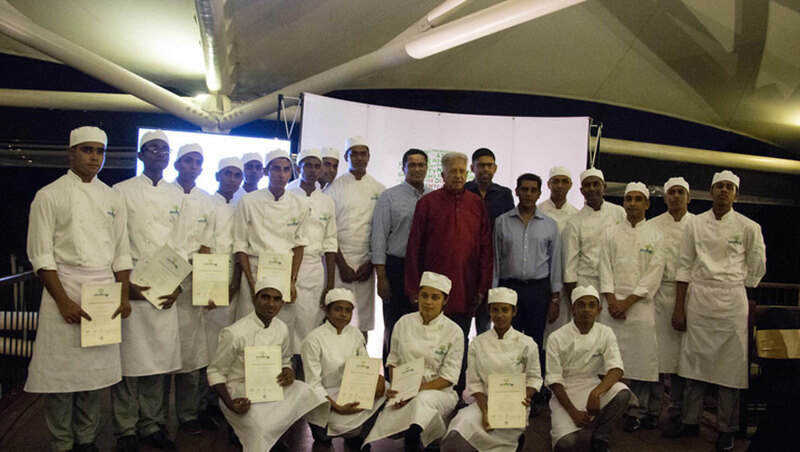 Today, many of Dilmah’s Empower Culinary School alumni work in a various hotels chains across the island. Dinesh, an alumnus of Empower Culinary School is representing Sri Lanka at Regional Bocuse d’Or competition – one of the most prestigious gastronomy contest in the world which will be held on May 8-9th in China. This year, teams of chefs from 12 countries across the Asia-Pacific will face each other, using their talents, skills and gastronomic expertise. Working with industry pioneers, the students acquire a world-class educational experience at the Empower Culinary & Hospitality School. Upon completion, graduates can convey the nuances of classic and contemporary cuisine from around the globe through their culinary creativity. It’s not just the passion for food but their desire for excellence that makes our young chefs special. ‘To become a chef from a cook requires hard work and passion. It’s a delicate art which has to be learnt through experience and experiments. We teach our students to the importance of cultural sensitivity in menu planning and to design a plate that pleases the eye as much as the palette.’ - Chef Tyrell Wahalatantri, Consulting principal at MJFCF Empower Culinary & Hospitality School. Applications for the next intake are ongoing, for further information please call Manil Perera at 011 4888323.